Robert West and Maryanne Kaplan are giving our San Leandro LeTip Donation to Building Futures. 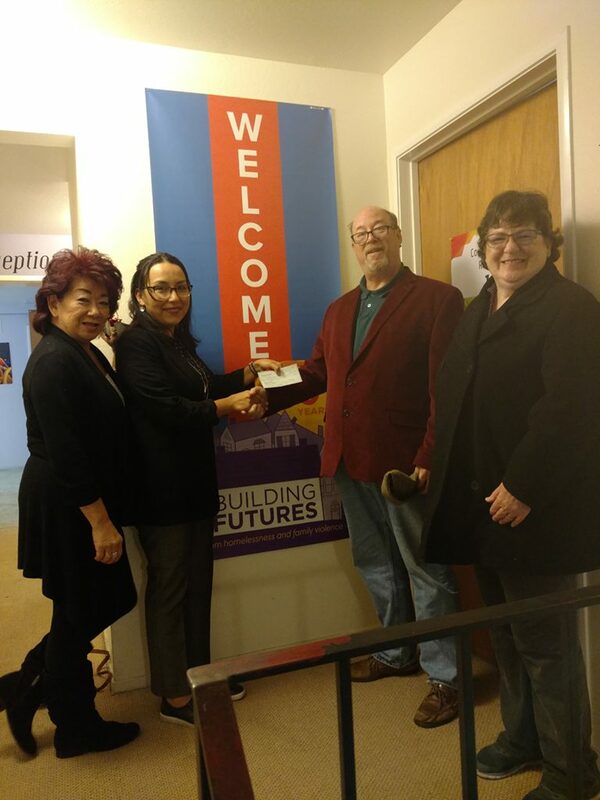 San Leandro LeTip collected $750 in donations for Building Futures in December. Thank you all for your generosity.